Sage 500 ERP is an application that boasts performance and web capability that is essential for success in today’s competitive business environment. Run your business the way you want to, with a low cost of ownership and high return on investment. The basis of any strong ERP system is its integration to financial management software. Asset and money management lie at the core of any business. The basic measure of success is profit and loss. An integrated Accounting and Finance suite is essential. Boost productivity and profit with sophisticated workflow features and flexible personalization found in Sage 500 ERP. 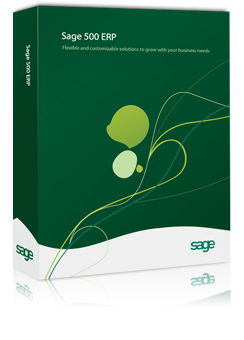 get Sage 500 ERP today.